· Provide you with an excellent shopping experience. 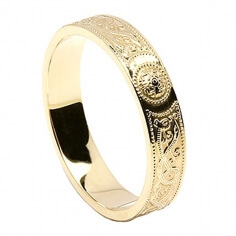 Once Celtic Rings Ltd gathers your name and address; this information will then be transferred to your credit card company, if applicable, for confirmation to complete your purchase. Your shipping information may also be supplied to a third-party fulfilment center, but your name and address will not be used for any other purpose than delivery of your order. Your name and address will not be sold to mailing-list firms. Although Celtic Rings Ltd may occasionally share statistics about our customers with important business partners; we do not disclose any identifying information about individual customers. Celtic Rings Ltd offers customers many ways to keep up to date with the latest product offerings and promotions. Below, we outline how we treat the information you provide to Celtic Rings Ltd. When you e-mail a product to a friend, you and your friend's names and e-mail addresses are requested. 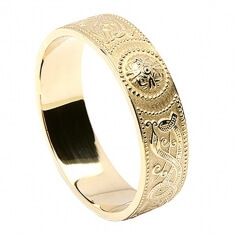 This ensures that your friend will know that you have requested that Celtic Rings Ltd send them an e-mail. You and your friend's e-mail addresses will only be used for this purpose unless permission is otherwise granted. 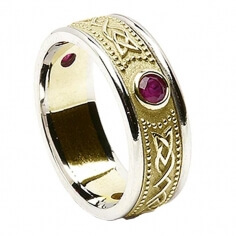 Celtic Rings Ltd occasionally requests information from our users and customers via surveys. Participation in these surveys is completely voluntary, and all participants have a choice whether or not to disclose information. 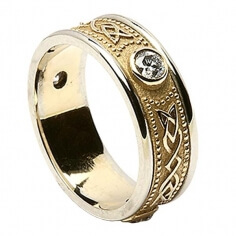 The requested information typically includes the customer's first name, as well as information relating to the customer's experience at Celtic Rings Ltd, or their opinions on products they have purchased. Survey information will be used internally to monitor or improve this site, and after attaining user permission, may be posted on the site to provide information about our products to other users. Users' personally identifiable information is not shared with third parties unless Celtic Rings Ltd gives prior notice and choice. To opt out of receiving communications from Celtic Rings Ltd, just select "unsubscribe" on our subscription status page and enter the requested information. Alternatively, you can make your request in person by contacting a jewelry consultant by e-mail at sales@celtic-weddingrings.com. 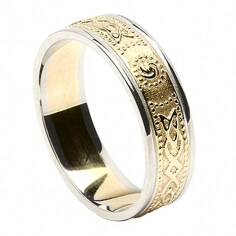 If the personal information Celtic Rings Ltd has gathered from you changes or you no longer desire our service, we will gladly correct, update, or remove any personal data you have previously provided to us. 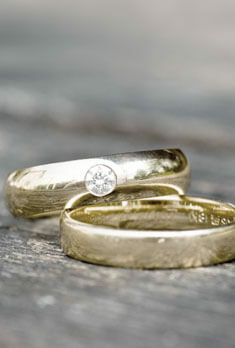 To request a change or removal of your personal information, send an e-mail to sales@celtic-weddingrings.com. Celtic Rings Ltd is committed to protecting the privacy of your personal information. To protect the information you send from your computer to Celtic Rings Ltd's e-commerce system, this information - including your credit card number, name, and address - is encrypted using Secure Sockets Layer (SSL) software. Internally, we use encryption and Web security technologies to protect the privacy of your personal data. Only parties responsible for processing your order have access to your credit card and bank information. Celtic Rings Ltd collects your IP address, which cannot be used to identify you personally, to help diagnose problems with its server, to administer and tune the operation of its site, and to log your browser type and referring URL information. Celtic Rings Ltd's servers use each IP address to anonymously track the date and duration of each session within its site. Your IP address may also be used to help Celtic Rings Ltd collect statistical data or in gathering broad usage information. Certain parts of this information may be shared with Celtic Rings Ltd partners, but your IP address will not be distributed. Via the "Contact Us" link, Celtic Rings Ltd allows customers to e-mail sales@celtic-weddingrings.com . This provides direct contact to a Celtic Rings Ltd jewelry consultant, who will read each e-mail and attempt to promptly answer your questions. Celtic Rings Ltd may also file your comments to improve the site and program or review and discard the information. 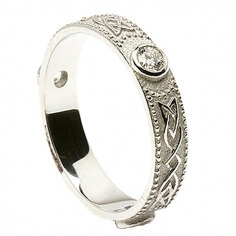 You may also send us your comments about the Celtic Rings Ltd Web site or the shopping experience in general, as we always appreciate feedback. The only time Celtic Rings Ltd will disclose personal information is when required to by law or with the good-faith belief that such action is necessary in order to conform to the law. If you have questions about this privacy statement, please contact the Celtic Rings Ltd customer service department at sales@celtic-weddingrings.com. * Celtic Rings Ltd will cover this liability if the unauthorized use resulted through no fault of yours from purchases made on Celtic Rings Ltd's secure server. In the event of unauthorized use of your credit card, you must notify your credit card company in accordance with its reporting rules and procedures.